Dr. David Pelcovitz is a world-renowned speaker and the preeminent authority on mental health issues faced by children and adolescents in the Orthodox Jewish world. 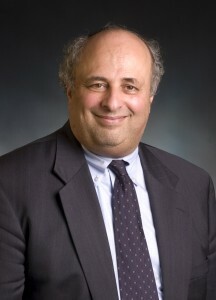 He holds the "Gwendolyn & Joseph Straus Chair in Psychology and Jewish Education" at Yeshiva University's Azrieli Graduate School of Jewish Education and Administration. Dr. Pelcovitz has researched, published and lectured extensively on a variety of topics related to the parenting and teaching of children, and on children's mental health in general. His research shines a lot on such important areas as domestic and family violence, stress management, coping with trauma and loss and the transmission of important values to children. David's most recent publication is titled “Balanced Parenting,” a book on parenting from a Jewish perspective which he wrote in collaboration with his father Rabbi Raphael Pelcovitz.